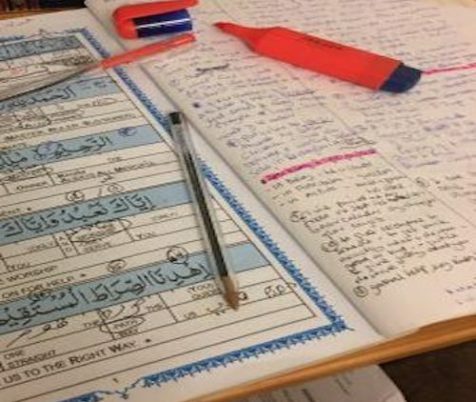 Here are my study notes for word analysis of Quran Lesson 1, Surah Al Fatiha ayets 1-7. I hope you find them beneficial to your studies. 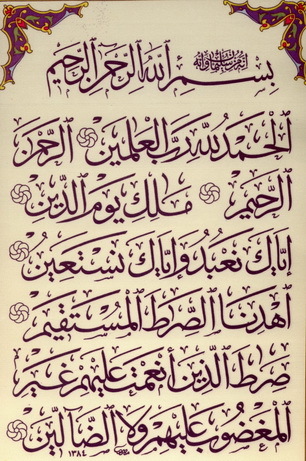 Surah Fatiha has 7 verses, 25 words, 113 letters. This Surah is a supplication to Allah for guidance taught by Allah himself. it is the opening of the Quran, the opening chapter, the beginning. It is also called Al Fatiha because it is the opening of Salah (prayer). When you pray salah, we always start with Al Fatiha. Opening Fatiha to open something, to remove a block, to remove the confusion from something so that it becomes clear. Imagine a door that is blocking access to a room, fatah-al-baab, is to open up the door, to remove the block so that you can enter. Abu Huraira narrated that the Prophet (saw) said, Surah Al Fatiha is the Mother of the Book. In arabic, اُمْ الكتاب, Ummul Kitab. Umm meaning mother, Kitab meaning book. The mother is the foundation of something. Surah Fatiha is the foundation of the Quran. If a person is able to understand and accept the message of Surah Al Fatiha, the rest of the Quran is also easy to comprehend as all the main concepts and themes are mentioned in Surah Al Fatiha. بِسۡمِ Bismi is a combination of Bi (with) and ism - name. (ism) also includes all the names of Allah. Ism - derives from the root س م و samoo, which means height from the same root of the word samah which means sky. Samah - sky which is high above us. That which is high above becomes prominent. The main prominent thing of someone will be their name بِسۡمِ with name. ٱلرَّحۡمَـٰنِ ٱلرَّحِيمِ we begin with two names of Allah, they both have the same root letters. Used for womb of a mother, source of baby's growth, nurture. It is out of Allah's Rahma that we are here. Conveys the meaning of excessiveness/vastness of the attribute of Mercy. No one else is more merciful than Allah (swt). A great amount of Mercy, exceedingly merciful, he shows mercy again and again and again. ٱلۡحَمۡدُ Alhumdu: All thanks, praise are due to Allah. To mention the perfect attributes of the one who is praiseworthy, the one who deserves praise. Hamd also includes gratitude. Thanking Allah for his actions/blessings upon you. Includes praise and thanks. It is he who only deserves complete praise, no one else other than him. Only he who is worthy of complete praise. ر ب ب Sustainer Rabb To gradually nurture something, to make something grow until it reaches its stage of completion and perfection. To nature with a lot of care, protection, concern, mercy. e.g, for a seed to turn into a plant, it needs nurturing and time, care and love. 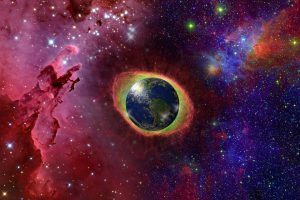 To bring from non-existence into existence. Rabb in a general way. He creates all, nurtures all. Rabb specifically. Only for the believers, Allah nurtures them generally (physically) but also spiritually, increases their faith (emaan). Mudabbir: Planner. The One who manages the affairs of that being. عَ لَ مِ Worlds Alameen A sign, a flag, to mark, to distinguish, A means of which one knows a thing, it signifies world or creation, it points to Allah the Creator. See Ayet (Chapter) 1 above for word analysis. Allah is the Real Malik, he owns everything and has complete authority over it. People are also described as Masters, but when it comes to people their mastery is incomplete, they may have authority over others but they don't own them. Allah has complete Authority and Possession. He is the Ruler and the Owner. In the Lunar calendar, the day changes after sunset (maghrib). Allah is the Malik of the Day of Judgment. Recompense means to get back exactly what you deserve, it could be reward or punishment. There are other meanings of the word Deen but it depends on context. Here it means The day when people will be given what they deserve for their actions and it will be done with justice. إِيَّاكَ Iyyaka: Only You. Combination of إِي Iyya and كَ Kaa. Iyya comes to support the Kaa (You). Gives the meaning of Only. The word Iyya you will never find it alone by itself, it will always be used with a pronoun. 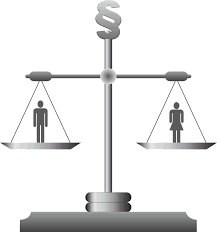 When the word is combined with a pronoun it is conveyed as specific, only, non-but. To express one's humility in front of someone. To express oneself as weak and insignificant out of intense love. To submit. A slave will do everything that the master commands. 'Ibadah is everything, every action that Allah (swt) loves and is pleased with. To refrain from what he forbids. 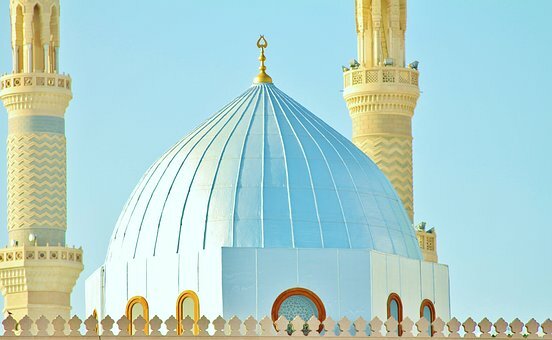 It includes all the rituals of salah, fasting, zakat etc but also all acts throughout the day that is done with the intention of pleasing Allah. It also includes statements such as speaking the truth as well as actions. They can be hidden or visible, eg, salah is visible, hidden could be good thoughts or gratitude about Allah or someone. وَإِيَّاكَ Wa iyyaka: And You Alone. Only you we ask for help in all matters. ٱهۡدِنَا Ihdina: Guide us. Ihdi - guide, Na - us, combination of two words. To make sure they reach the destination. Hidayah Irshaad - to give knowledge information about that which is correct. Hidayah Taufiq - to implement the knowledge that he has been given. Some roads are wide, others narrow. This path can accommodate many people at the same time. To show us what the straight path is that will lead to the destination - Jannah. So many opinions, sects, so we need to be on the straight path. Once you are shown the way, to keep firm on it. Hidaya is to stay on the path till you reach the destination. 7. Guide Us to The Right Path, The Way of Those Whom You Favored Not of Those Who Have Earned Your Anger or of Those Who are Astray. ن ع مۡ Favour An'amta To do a favour to someone. Ni'ma - a blessing. Not just about tangible blessings, here it refers to the blessing of Emaan (faith). This is a blessing that fulfills some need of a person. We have spiritual, emotional, mental, and social needs, as well as physical needs. In this context, it is referring to the blessings of emaan, Islam, guidance, piety, religion, deen. ٱلۡمَغۡضُوبِ Al Maghdubi: those who earned your anger. غ ض بِ Anger Maghdubi such anger that turns into revenge. inflicting punishment on the one that has angered you. Gha-dab. Used for anger. There are so many words in the arabic language for anger. Gha-dab is anger that turns into revenge. These people know what they have to do but they don't do it so this is why they incur the punishment of Allah. The people who have earned the anger of Allah refers to people who have the knowledge, yet they still disobey. Thus, they earn the punishment. We are asking Allah not to make us like them. Every time we knowingly disobey Allah, we are inviting Allah's punishment. Refers to someone who goes astray because of lack of knowledge and therefore he is lost. He is ignorant of it. What's his fault: He chooses to remain ignorant. Whoever truly seeks guidance, Allah shows them the way. Think of Salman al-Farisi (ra). It was said about him that if Islam was found on the moon, he would have gone there for it. Ameen: In Arabic, it means, "O Allah, hear and accept" listen and respond. Hadith mentioned in Sahi Muslim in which the Prophet (saw) said when any of you says in the prayer Ameen, and the angles in the heavens say Ameen at the same time, then all of his previous sins will be forgiven. mashaAllah this is so comprehensive – I love how you go through the details, a backdrop to a detailed study of the Quran – jzkAllah for sharing!! This is such a brilliant analysis of one of the most important ayahs from the Qur’an. Extremely beneficial! Jazak’Allah khayr! SubhanAllah, I cried so much reading this. What a beautiful, useful post, alhamdulillah. Jazakillahkhayr. Masha’Allah, thank you for all the memories you evoked through it, as well as learning and reminders provoked, and may Allah reward you for any achievements He accepts as a result of it, ameen. Mashallah sis! JazakAllah khayr for sharing this with us! Inshallah it will benefit many! My children and I will be referring back to this! Mashallah! This is so thorough. Thank you for sharing! Brilliant. It’s great to see this surah broken down into such detail. It’s nice to learn the meaning behind the surah too and makes it easier to memorise. Mashalla, you go to a great amount of detail! I especially benefited from the explanation of iyya, I never knew what it meant! subhanallah, may allah forgive you for any wrong you may have done in your life and grant you his pleasure so you are from the inhabitants of jannat al firdous. This site is absolutely amazing. may allah reward you with khair in abundance for every second you have dedicated to it. this information needs to pushed out there so as many people as possible can benefit from it. I just came across the site today and i’m amazed with how well you’ve organised everything. Asalaam o alaykum, i just wanted to compliment you on your efforts. i was searching for quranic root words to go with Surah yunus which i am currently studying as part of tafseer class i attend here in Kuwait. Alhumduillah your site is very clear and self explanitory and helped me alot. your reall reward is with Allah. May He accept it from you and elevate your status and save you from the evils of shaitans plots. Ameen! Do you live in leicester sister, I help students where english is their second language. If you are interested in joining just let me know and I can send you the details. 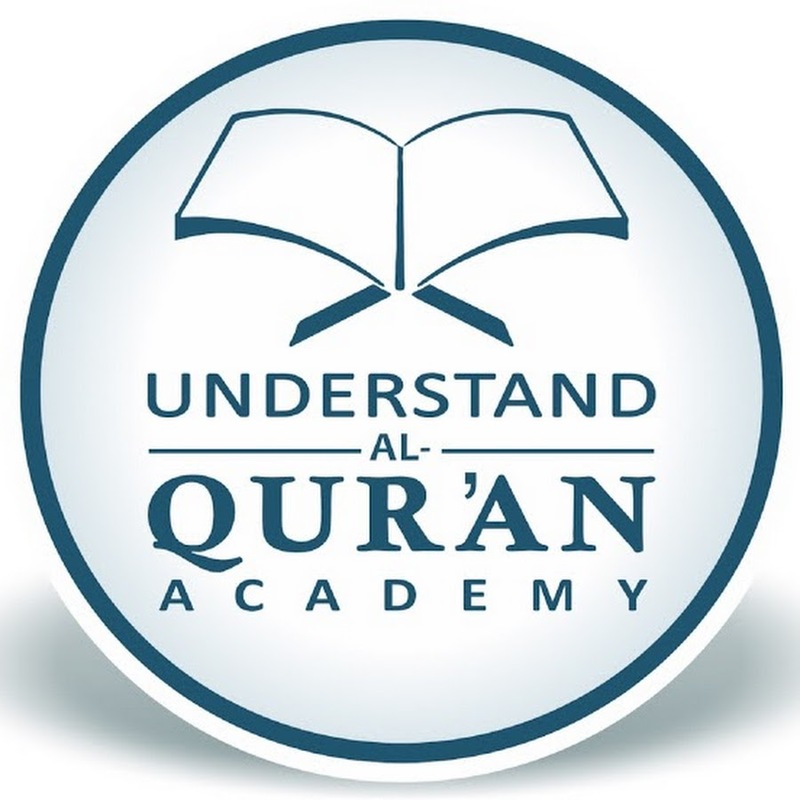 Otherwise you can check out the website for Alhuda they have courses which are at a much quicker pace in english and urdu and they offer a wide selection of online courses. On which Juz are you now.your material are making grammar easier for me. though I am on juz 4.can you put resources for them. I am glad you are finding the resources of some help. We are currently on Juzz One, Lesson 9. 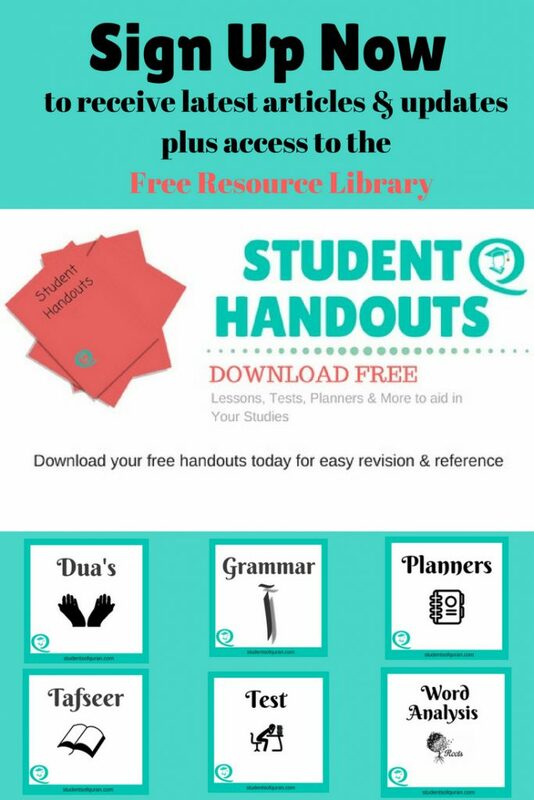 The resources are uploaded each time a lesson is covered. It may be some time before we get to Juzz 4, but please keep checking for new resources which are uploaded most weeks inshallah.